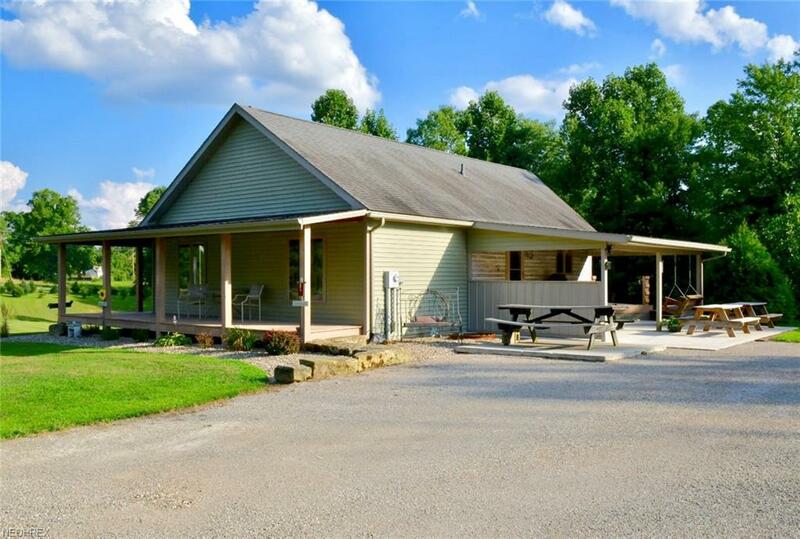 This custom built home, located in the Franklin local school district with 4.002 acres is like living in a retreat in the country! The inside boasts Red Oak hardwood floors, Poplar wood walls, hickory cabinets with soft-close drawers and a gorgeous stone front fireplace in the living room! The master bath is surrounded with ceramic tile and has a heated floor, perfect for those cold winter mornings! The vaulted ceilings lead to the loft above, providing extra storage space in addition to the storage room in the lower level. In the lower walkout level you can enjoy the additional finished living area and heat with the top of the line wood burning stove. Indulge in the peace and quiet outside by relaxing on the wrap around porch or on either of the large concrete patios, great for grilling or even entertaining too! Outdoors, there is a stocked pond, a large area for a garden, 2 chicken coups, and a detached 2 car, heated garage with a metal roof! The property is surrounded by AEP grounds, locally family owned farm land and close to the Wilds too! Call today for more information!